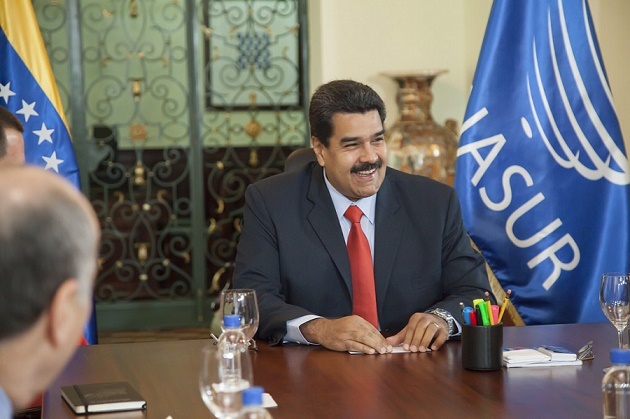 According to President Obama, the world’s only superpower, the unipower, the exceptional country is threatened by small Venezuela in South America! 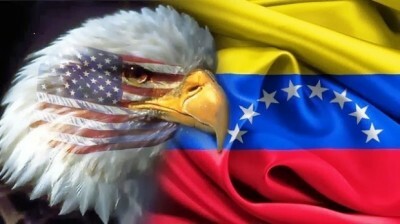 In an executive order last year, renewed this year, President Obama declared Venezuela to be an “unusual and extraordinary threat to the national security and foreign policy of the United States” and declared a “national emergency” to counter the “Venezuelan threat” 1. This manufactured “extraordinary threat” serves as the Obama regime’s excuse for overthrowing President Maduro in Venezuela. It is a Washington tradition to overthrow elected Latin American governments that try to represent the interest of the people, and not the interest of US corporations and banks. I wrote about Washington’s attack on Latin American reformers on April 11 2 and on April 223. Decades ago US Marine General Smedley Butler confessed that he was “a gangster for capitalism,” imposing the will of New York Banks and the United Fruit Company on Latin American countries by force of arms. In his book, Confessions of an Economic Hit Man, John Perkins reports the 1981 assassinations of Panama President Omar Torrijos and Ecuador President Jaime Roldos, both of whom got in the way of US corporate interests. After being duly demonized by the US media, in 2009 Honduras President Manuel Zelaya, who thought that Honduras should be for Hondurans and not for the United Fruit Company, was overthrown in a military coup greenlighted by Obama and Hillary Clinton. The president chosen by the people was replaced with Roberto Micheletti, a tool of US corporations, chosen by Washington. Washington has been conducting economic warfare against Venezuela in order to undermine President Maduro’s public support. The media is controlled by the elite and blames Maduro for the economic problems caused by Washington. Washington has succeeded in having its agents among the elite regain control of Venezuela’s National Assembly. A recall attempt is underway against Maduro. It is possible that confused Venezuelans will cut their own throats by returning to power the elite that has traditionally oppressed them. Washington tried to destabilize Iran with the Washington-funded “Green Revolution,” but it did not work. Both Russia and China open themselves to destabilization by hosting Washington-funded Non-Governmental Organizations (NGOs), participating in Western economic institutions, and permitting foreign investment. Washington has had success in entangling Russia and China in Western economic institutions and ways of thinking that put the two countries’ independence at risk. Considering the control freak character of Washington, Russian President Putin should be on his guard against assassination. In the neoconservative drive for US world hegemony, no means are impermissible.